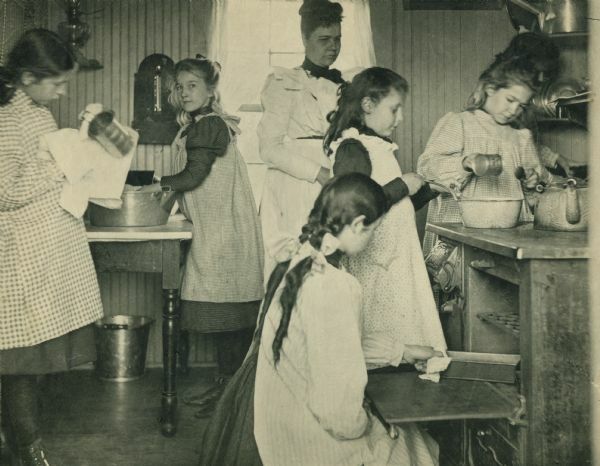 Students in cooking class at Hillside Home School, an early progressive school, operated by Ellen and Jane Lloyd Jones, aunts of Frank Lloyd Wright. This image is part of a collection pertaining to activities at the Hillside Home School in Spring Green, Wisconsin. Collotype.